(Community Matters) Artpace – a laboratory for the creation and advancement of contemporary art. Their San Antonio Gala had a Marfa spirit – Gamping: a glamorous camping motif. Fun dress, dinner space circled by restored Airstreams – many by Austinite Taylor Perkins. Our friend Jeanne Klein is the founding chair of this way cool organization founded by the late philanthropist Linda Pace. Neighbor and friend Laurence Miller an original advisor and arts entrepreneur. I joined Suzanne Deal Booth and friends for the evening. Big Austin contingent in addition to Jeanne & Suzanne, including Kevin Keim, Deborah Green & Clayton Aynesworth, Veronica Roberts, Carlos and Andrea Martinez and Davis Neindorff. 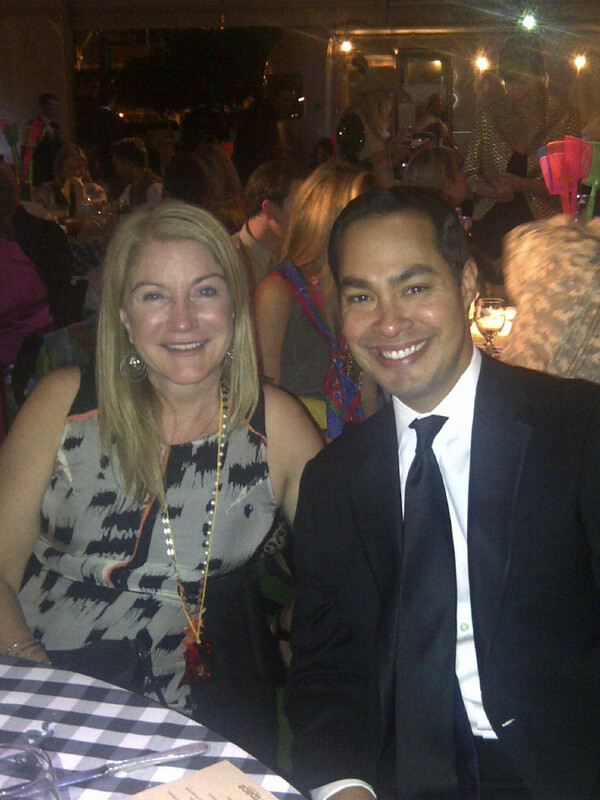 Mayor Julian Castro came as my guest. Erica and Steven were scheduled to attend . . . alas competing obligations. Ran into several dear SAT friends to, including DNC fundraising chair, Henry Munoz, and Elise & Craig Boyan. Thought might, but bummed, didn’t see Susan Ghertner or Ron Prince – next visit.